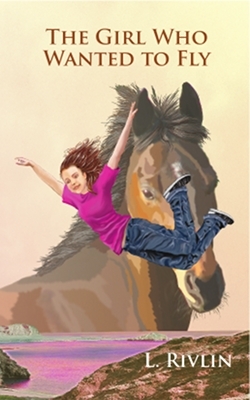 Placed by The International Board on Books for Young People as an outstanding novel for 2011, The Girl Who Wanted to Fly is being exhibited worldwide by IBBY at international book fairs. This absorbing narrative examines the problems encountered by a disabled teenager, Mo Tamworth, but the voyage of self-discovery charted in the story is not limited to the experience of disability. The situations are familiar to all young people negotiating the often confusing transition between childhood and early adulthood. Just as with other young teens, Mo must learn to respect others in order to respect herself. Although the narration is from the point of view of a teenage girl, it offers compelling insights which adults will also find entertaining and instructive. When I opened this book, I didn't know what to expect. Heartwarming tales of personal triumph over the demons of adolescence aren't exactly my thing. But this isn't some treacly feel-good book, it's about a girl's journey through learned bitterness and hate into maturity. Even though the story is told in first-person, you start off rather disliking Mo, the main character. She is a schoolyard bully and proud of it. In time, it becomes apparent that Mo is actually quite bright, and it's not just her legs causing turbulence in her life. Rivlin paints a realistic people and places. If the dialog is a bit stilted, especially in the opening pages, she can be forgiven for what it shows about her characters. While Mo's rehabilitation (both physically and mentally) involves horses, they are not so present as to ruin the tale for the non-horse-lover. As a horse person, though, I found myself chuckling in delight at Rivlin's descriptions of barns and riding from a newcomer's perspective. As an American, I was surprised about the appearance of Western saddles in an English tale, and as a side-saddle rider, tickled by those passages as well. I found the character Trish to be compelling as well. People's reactions to this girl with Down's Syndrome were disturbingly close to my own learning process about the condition. Mo's changing attitudes toward Trish were for me the most engrossing parts of the book. And somehow Rivlin pulled it off without once sounding preachy. All in all, a very good read - teaching self-acceptance and tolerance without lecturing.